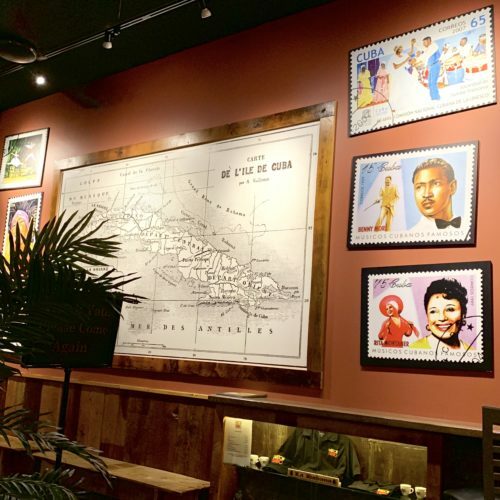 About: Danzón Cubano is a tribute to the Cuban people, their history, their culture, and their perseverance in the face of trials. We’re big fans of everything Caribbean. Costa Rica is our favorite place on earth outside of Grand Rapids and we visit regularly. Chez Olga is probably our favorite restaurant in the city. 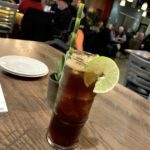 So it’s not much of a surprise that we also like Danzón Cubano. A new restaurant as of late 2018, this place brings something truly unique to the city, celebrating Cuban food and culture. Regular events feature live music with acts that play latin-themed music. Not just background music while you eat, but music to get you on your feet and dance. 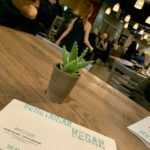 The food is also something unique to the city and is very vegan-friendly. 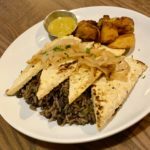 Danzón Cubano offers a separate vegan/vegetarian menu – that is mostly vegan. We’ve enjoyed most of the food we’ve had, which includes stuffed plantain cups – twice-fried plantains with rice and beans. Danzón Steak – Cuban-style seared tempeh, served with black beans with white rice, maduros (sweet plantains), and mojo sauce. Interestingly for a Cuban restaurant, the food is often underseasoned – salt on the table helps. And it also feels pretty repetitive. 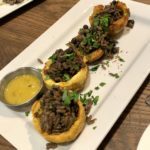 You can have rice and beans stuffed in plantain cups. The stuffed avocado is stuffed with… you guessed it, rice and beans. They do offer a vegan paella (artichoke, roasted garlic, avocado and, chickpeas). Paella always takes time to prepare so order right as you sit down if you’re into it. They offer a full bar with a good beer list. 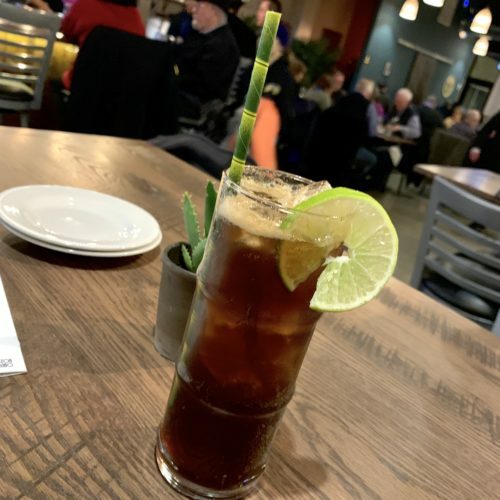 And specialty cocktails that also celebrate Cuba – from the classic Cuba Libre, to “The Hemingway,” a drink named after Ernest who, legend has it, stopped into a Cuban restaurant and gave birth to this drink after giving feedback to the bartender. All of this history is laid out on the menu. 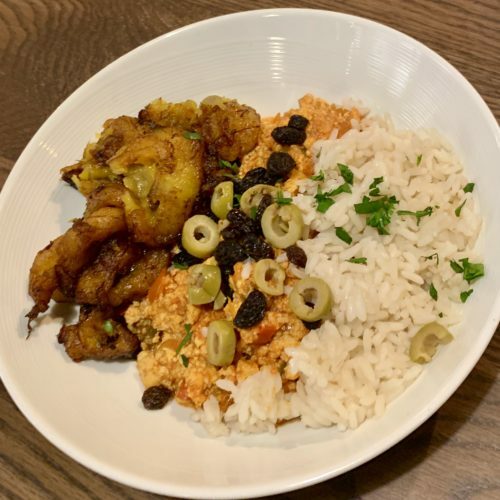 We’ve heard positive and negative feedback from the vegan community with respect to Danzón Cubano, but overall we enjoy Danzón Cubano. They’re very vegan-friendly and one of the only spots in the city with tofu and tempeh. Worthy of support for sure, and hopefully this new spot can continue to work out the kinks over time.